There aren’t many books around that are targeted at fashion (and beauty) bloggers – in fact, I think it’s just this one. 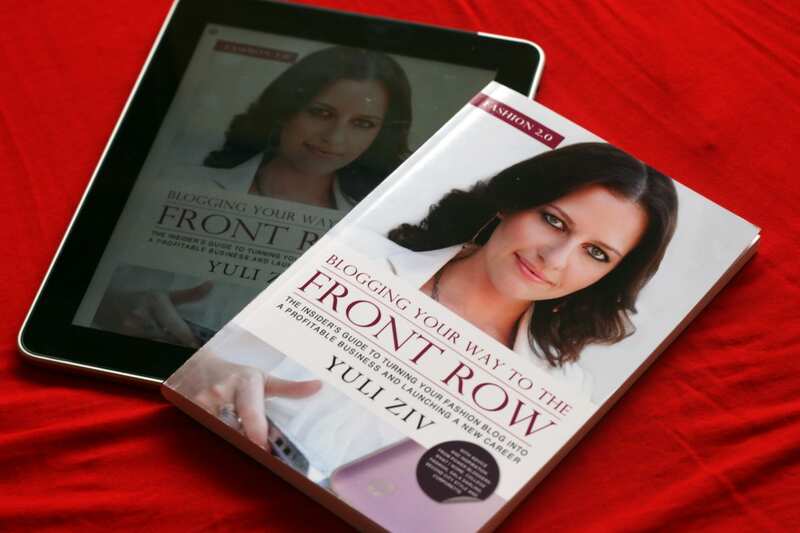 Fashion 2.0 was written by Yuli Ziv, a blogger in the US who has been able to grow her blog into a business. She founded Style Coalition in 2008 as a network to help bloggers monetize their blogs. I grabbed this book from Amazon just before Christmas when it was offered for free on Kindle. I enjoyed the book so much that I knew I would want to be able to quickly refer to parts so bought it in paperback. The main chapters in the book are planning, content, relationships and revenue. It might seem strange to have panning before content, but I find that when I plan out what I want to blog about, then the actual writing of the content is a lot easier. Even as a long time blogger, I still found sections of the planning section to be incredibly relevant – it is crazy to think that just because you’ve been doing this for a while, you don’t need any help. The first part of chapter 1 is about commitment, and it seems like a scary sort of thing – this almost put me off because I don’t want to be a full time blogger, but reading into it, it was more about what sort of commitment you can give – we all know far too well that blogging takes more time than just dashing off a post here and there. Writing a blog business plan is one of the suggestions in this chapter, and it might seem like a bit of an extreme thing to do, but sometimes, getting things written down is the best way of planning out what you want to do next. Each chapter is separated by a Q and A section with some successful bloggers – people like Gala Darling and Jessica Quirk are asked about how they started, and how they built their audience. At the end of each Q&A, there are action points – quite a handy list really! The relationships section is about not just the obvious of connecting with your readers, but fellow bloggers (“Make other bloggers your daily sources of inspiration, not your daily source of envy”) and PR’s. It then goes on to talk about attending industry events (like LFW! ), building relationships with brands and then deciding who you want to work with in the future as a motivational tool. The final chapter about revenue which is usually quite a contentious issue in the UK blogging community at least. It seems like whenever someone is making money off their blog, there are others trying to tear them down – and while I hate the argument “they hate because they’re jealous”, in this situation, it’s usually quite true. This chapter talks about when to and when not to ask for money – things that are relevant to everyone, not just bloggers. This is a great book, one to read and dip into constantly. I’d recommend it not just for people starting a blog, but for those who are unsure of where they are going (I feel like I’m in this group!) or just want some extra guidance. You can get it from Amazon in paperback* or on your Kindle*. As an aside, you’re probably thinking “Why buy the physical copy when you got the digital one for free?”. I’ve blogged previously about how I love digital copies of books for the ease of transport, so this might seem an odd choice. Firstly: having read more and more ebooks, I find that its a great form for books that you read in one go, much less so for books you want to pick bits out of. This is definitely a book for me where I read it cover to cover, but I can see that I will probably want to reference specific bits in it at one time. The other reason is that I am really unimpressed with the Kindle app, and I worry that I wont be able to read the books I’ve bought in the future. This story is from 2009, but shows that Amazon have quite a bit of power – perhaps the cloud isn’t the best place sometimes. I actually went back to the Kindle app (on iPad) a few weeks after starting the book, and couldn’t find my book. For some reason, the Kindle app decided to archive the half read book…why?! This sounds like a really interesting book, I’d never heard of it before but it’s now on my amazon wish list ready to purchase with my next topcashback pay out! This sounds really interesting and I’d love to read it!